Tree Change Dolls is a family project. Singh notes that she repurposes the dolls while her mother makes all the clothing. 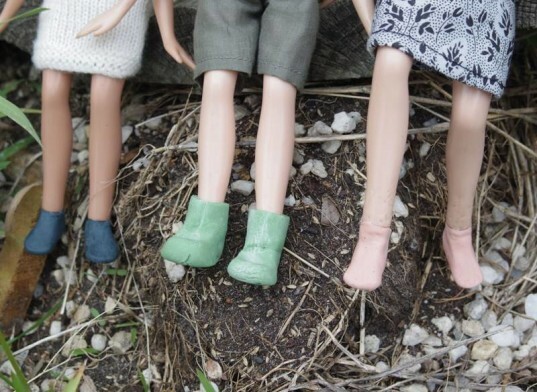 Shoes in particular are a challenge for Tree Change Dolls because many dolls come to Singh without feet. Singh has tried molding both feet and shoes for the dolls. Thus far she’s been hand sculpting the feet and casting some molds, but she’s still experimenting. 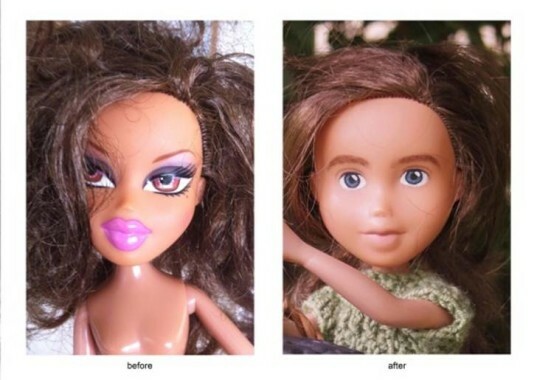 Singh removes glam doll faces with acetone, then repaints the faces, giving the dolls a much more natural look. 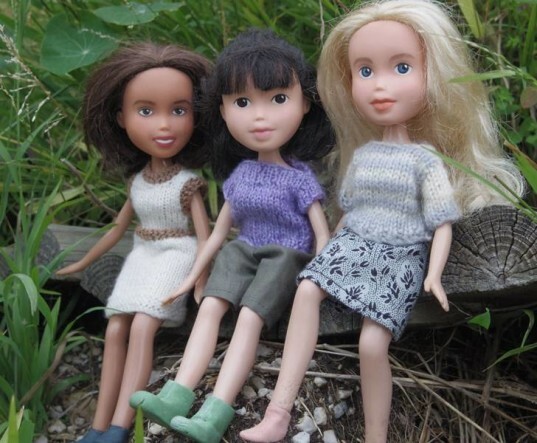 The mere act of playing with pink and shiny Barbie dolls, or even glam dolls with lots of excess makeup won’t harm your kids, but the sweet and simple faces that Singh gives each of her repurposed dolls do seem much more classic and appropriate for young children. Singh notes that her sisters and her grew up playing with secondhand dolls and homemade toys, which is what sparked her interest in giving old and used dolls a new purpose. RELATED | Are pink “girly” LEGO sets a good idea for young girls? 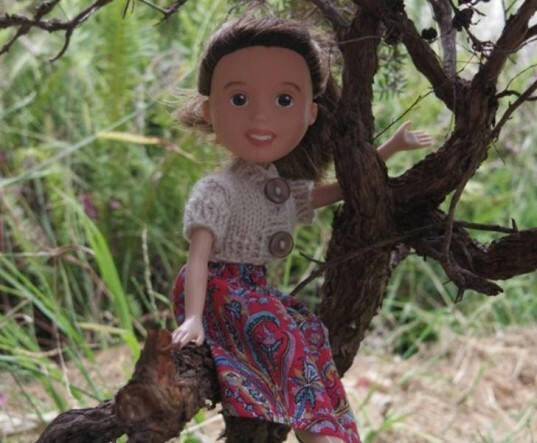 After leaving her position as a scientist in Tasmania, Sonia Singh, artist, illustrator and mom of a young toddler, took on a new project, Tree Change Dolls, that gives old dolls a new lease on life. 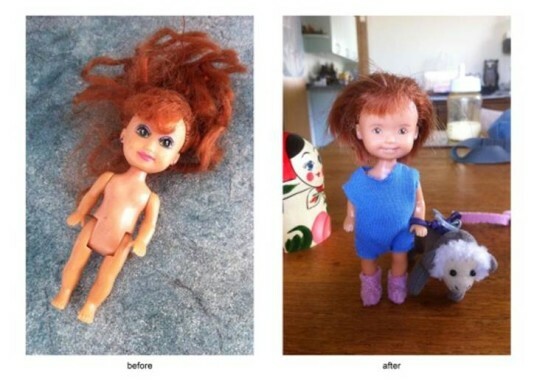 Singh finds used dolls in poor condition at various thrift shops, then she rehabilitates them with classy "makeunders." 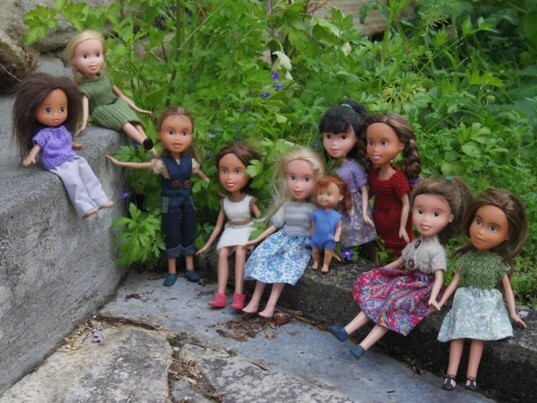 Singh says the dolls within her project have undergone a "tree change," due to her switching out glam makeup and snazzy clothing for a much more natural, and down-to-earth style. Keep reading to learn more and to see examples of the "makeunders." Shoes in particular are a challenge for Tree Change Dolls because many dolls come to Singh without feet. Singh has tried molding both feet and shoes for the dolls. Thus far she's been hand sculpting the feet and casting some molds, but she's still experimenting. The mere act of playing with pink and shiny Barbie dolls, or even glam dolls with lots of excess makeup won't harm your kids, but the sweet and simple faces that Singh gives each of her repurposed dolls do seem much more classic and appropriate for young children.